Keep your 1/4 in. sockets in one place. 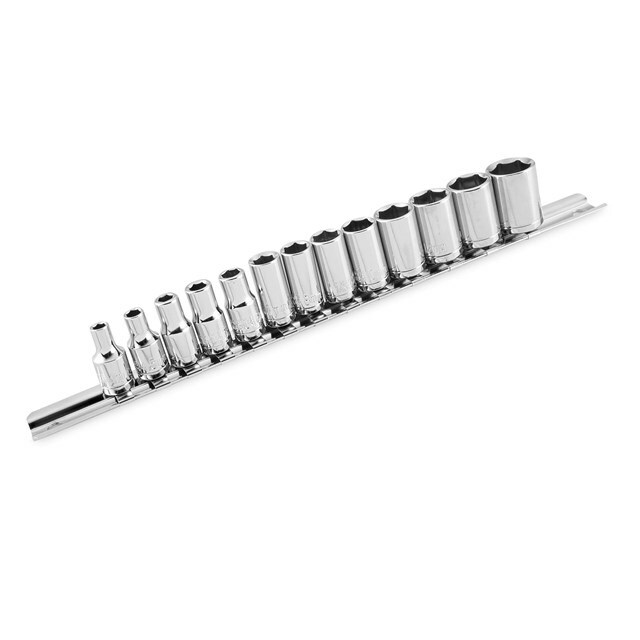 Manufactured from chrome vanadium steel, is chrome-plated and fully polished, and comes with a manufacturer’s lifetime warranty.